ISBN 0793552591. 4.25x6.75 inches. Paperback Songs. 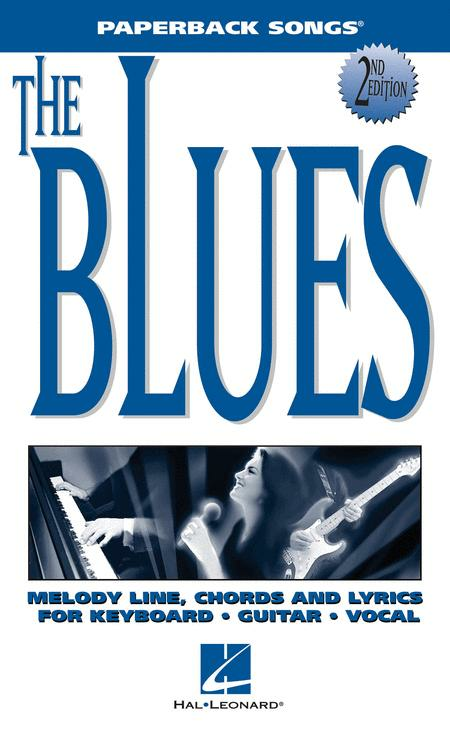 Melody lines, lyrics, chords and guitar chord diagrams for 110 blues classics, including: After You've Gone • Basin Street Blues • Chicago Blues • Crossroads • I Ain't Got Nobody • I Believe I'll Dust My Broom • Killing Floor • Nobody Knows You When You're Down and Out • The Sky Is Crying • St. Louis Blues • Stormy Weather • Sweet Home Chicago • The Thrill Is Gone • Tobacco Road • You Shook Me • and dozens more! These perfectly portable paperbacks include the melodies, lyrics, and chord symbols for your favorite songs, all in a convenient, pocket-sized book. Using concise, one-line music notation, anyone from hobbyists to professionals can strum on the guitar, play melodies on the piano, or sing the lyrics to great songs. Books also include a helpful guitar chord chart. All books are 4-1/8" x 6-3/4".
. Hal Leonard, you did it again. foundation for song selection and skill advancement. 18 of 46 people found this review helpful. get up to speed on a tune. 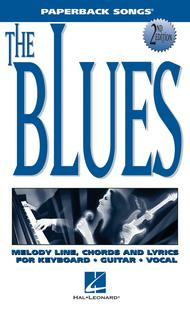 These classic blues tunes are very encouraging to this near sixty year old beginner (guitar).